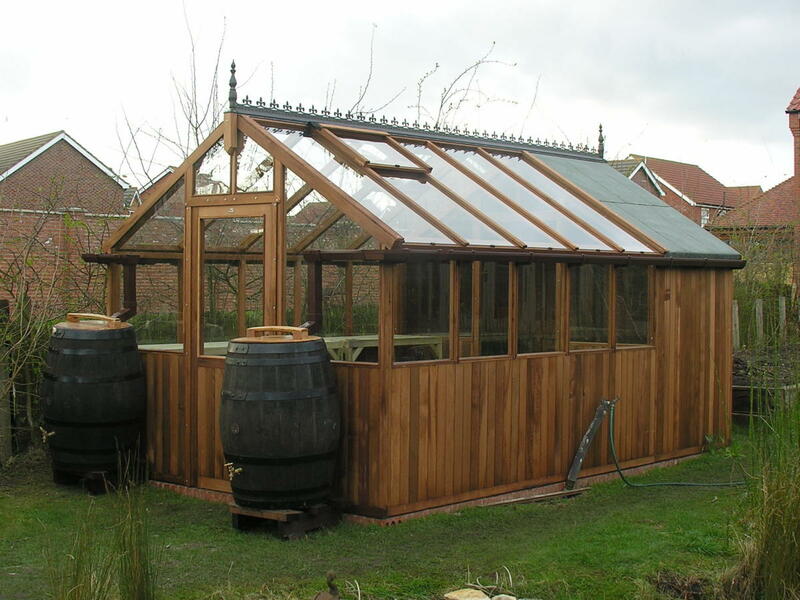 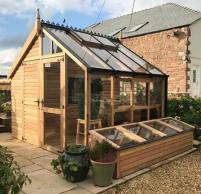 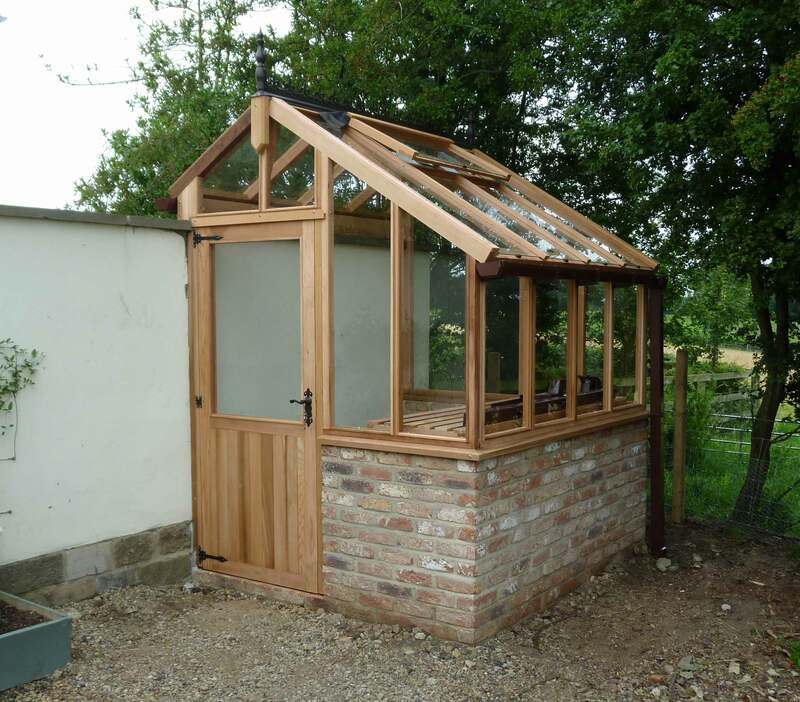 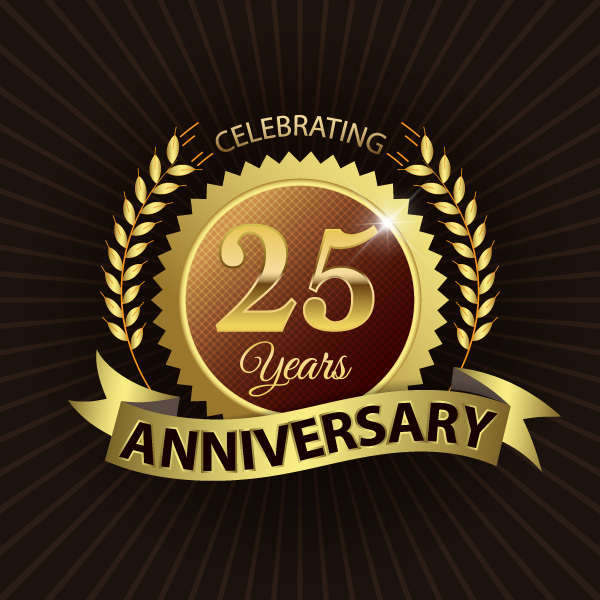 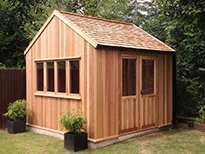 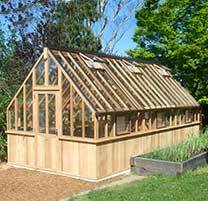 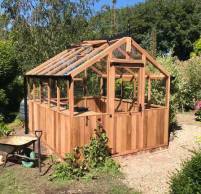 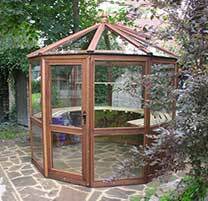 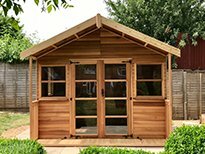 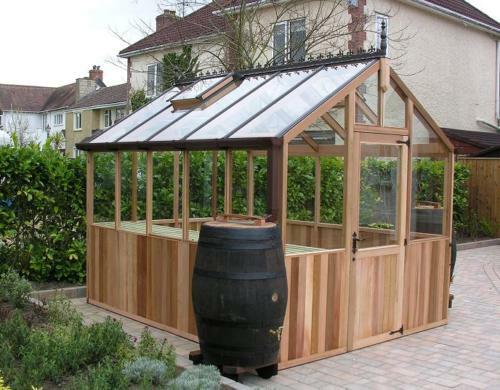 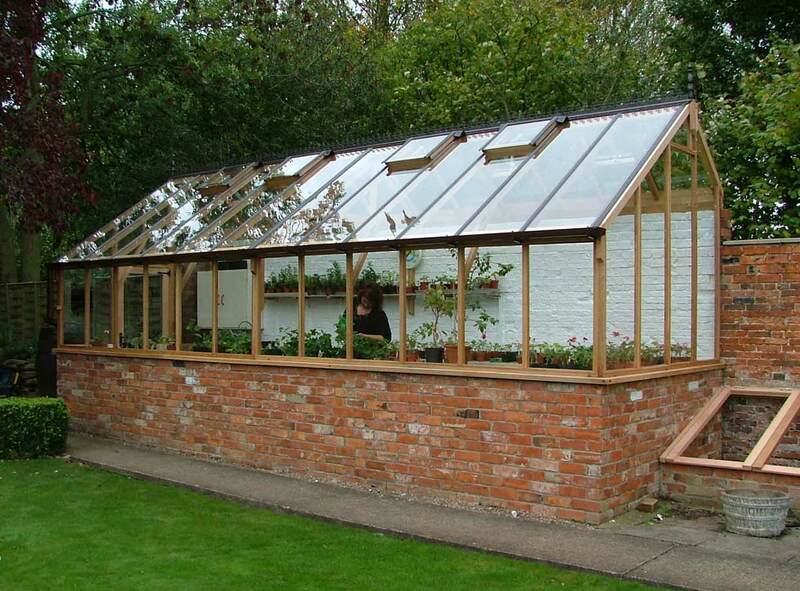 If you have a wall that may not be high enough to accommodate a traditional lean-to, then a three-quarter span structure may be the right greenhouse for you. 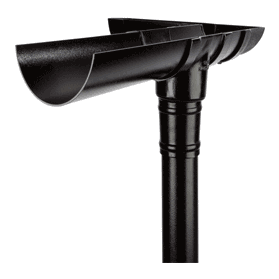 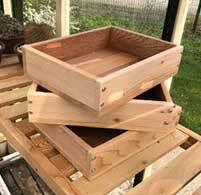 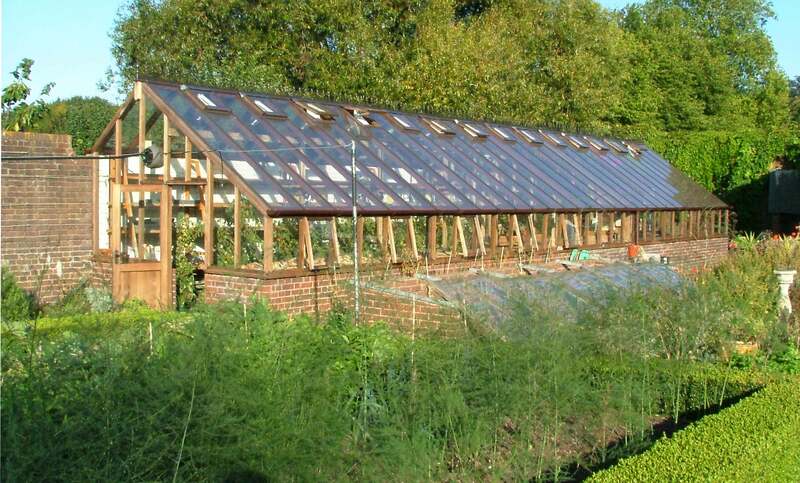 The buildings offer improved ventilation due to having roof vents situated on both sides of an offset apex, and are ideal for housing vines and taller plants. 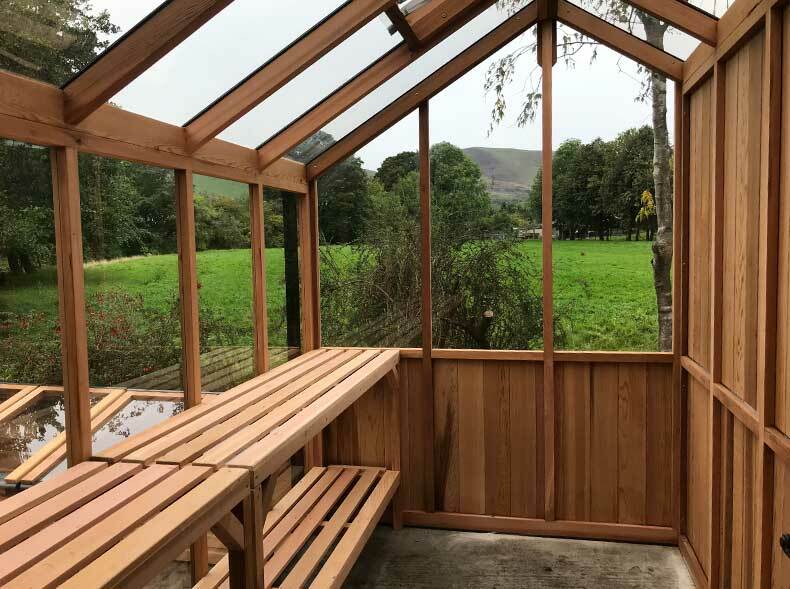 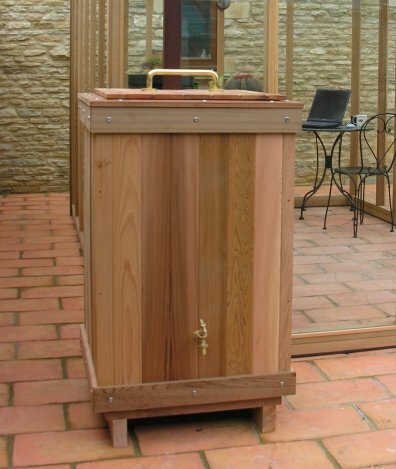 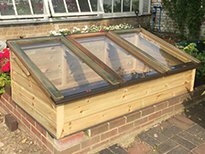 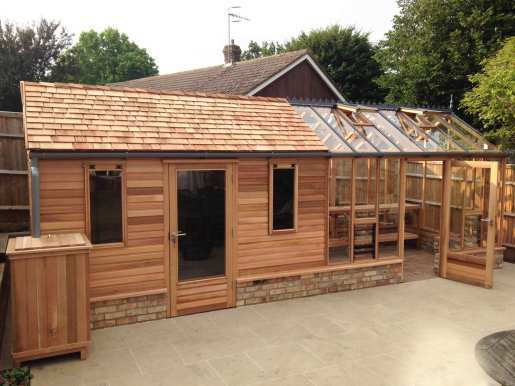 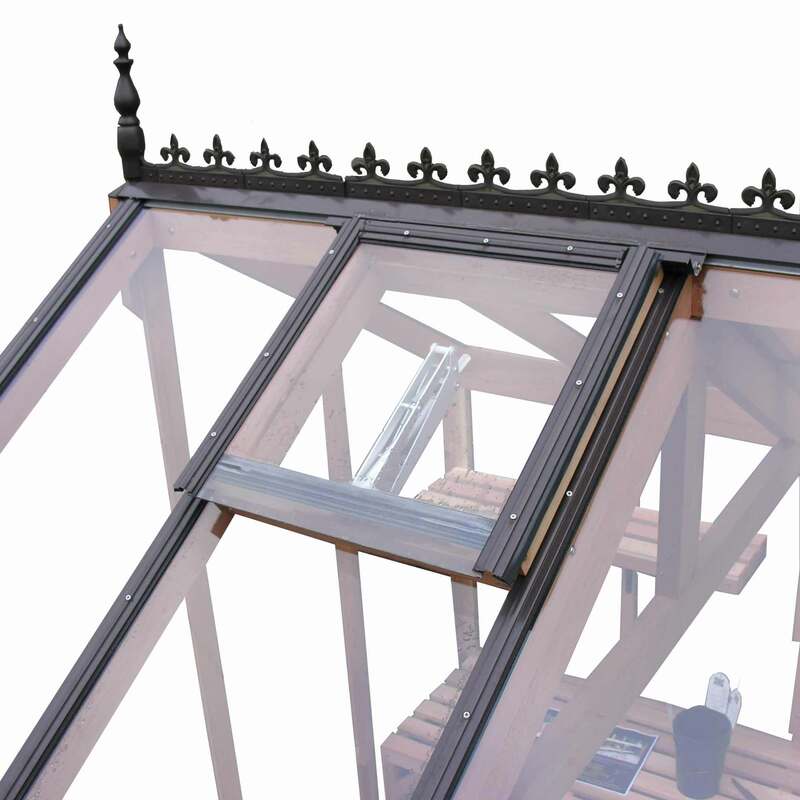 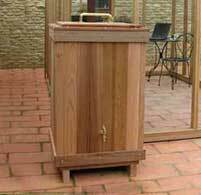 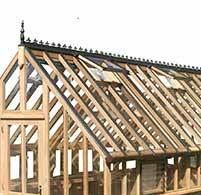 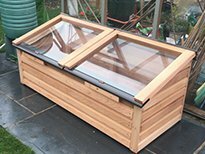 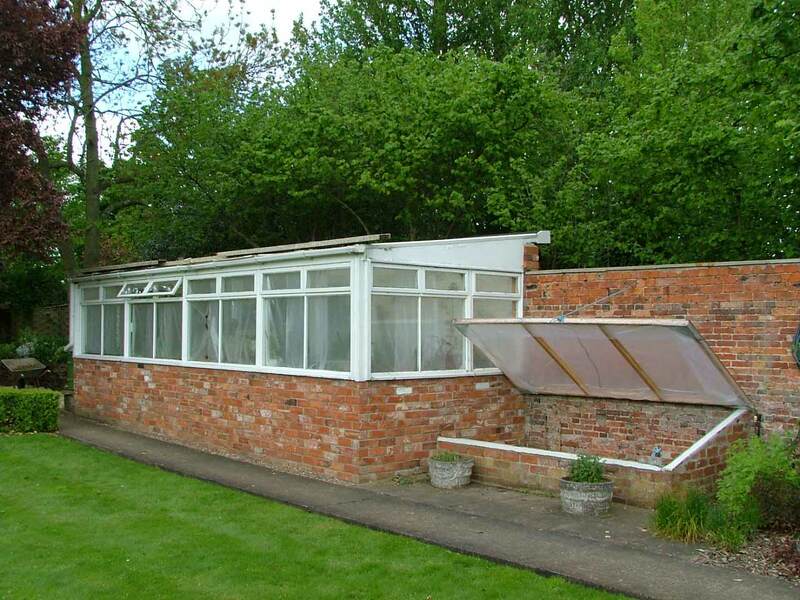 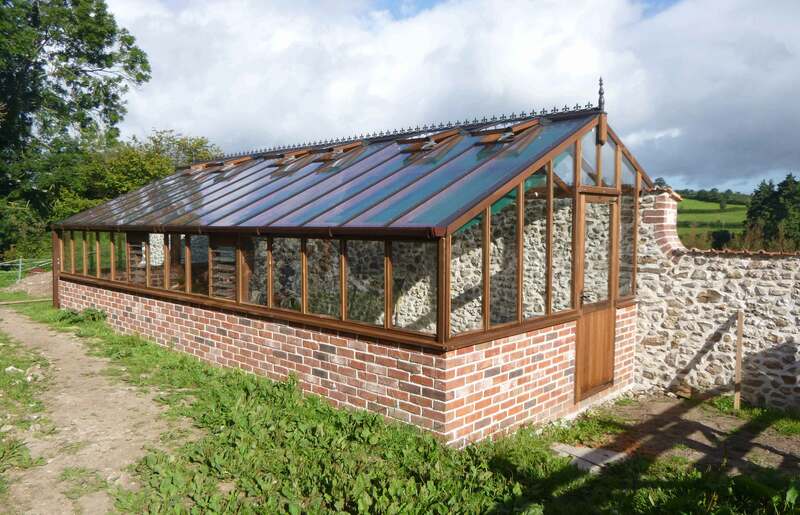 A 3/4 span utilises your rear wall and will improve the circulation of heat within the structure, as this wall will absorb the warmth of the sun and then circulate it around the greenhouse for prolonged periods. 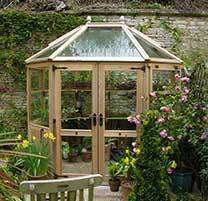 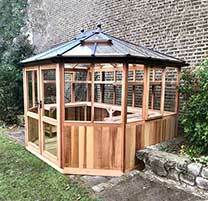 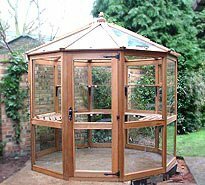 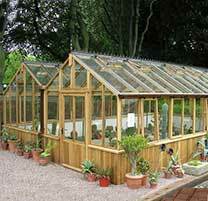 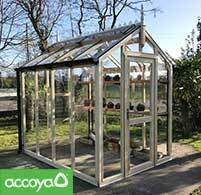 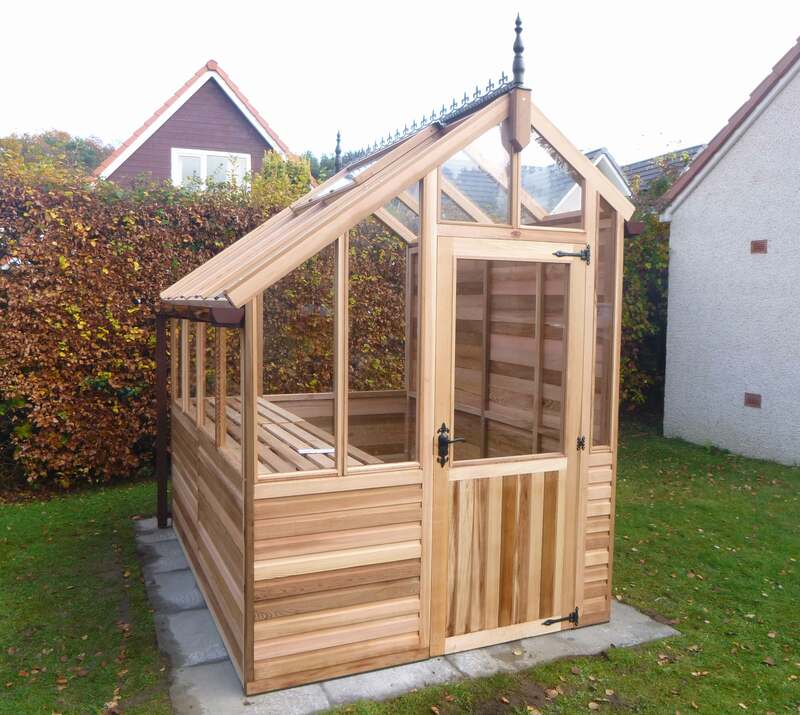 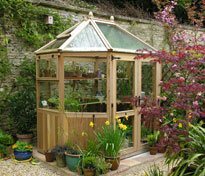 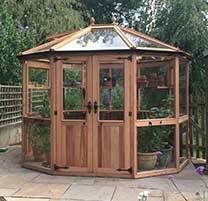 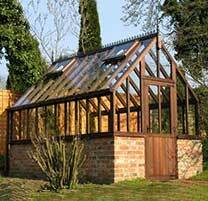 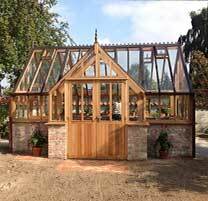 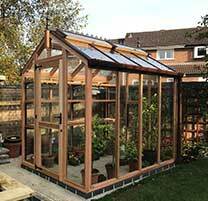 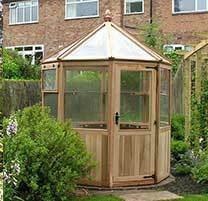 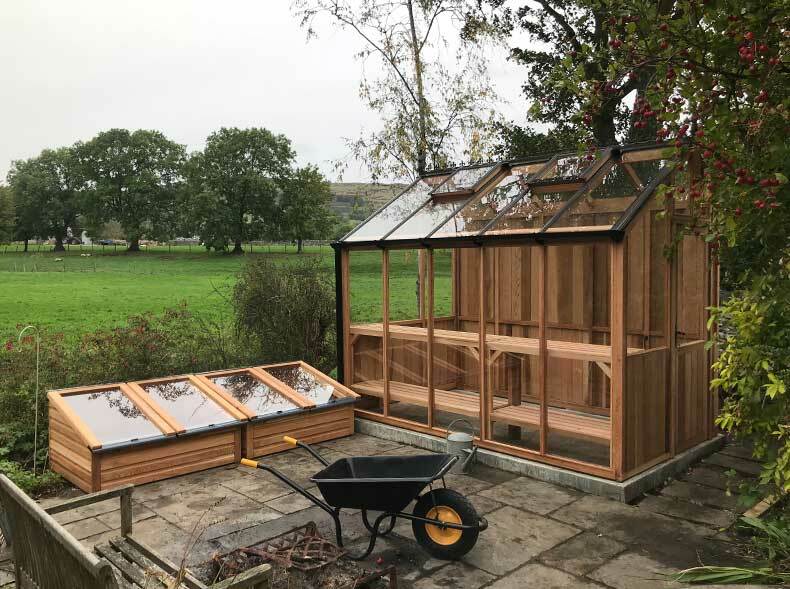 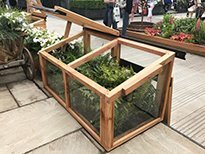 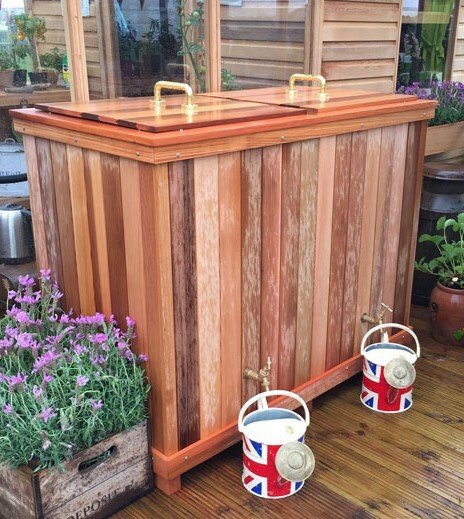 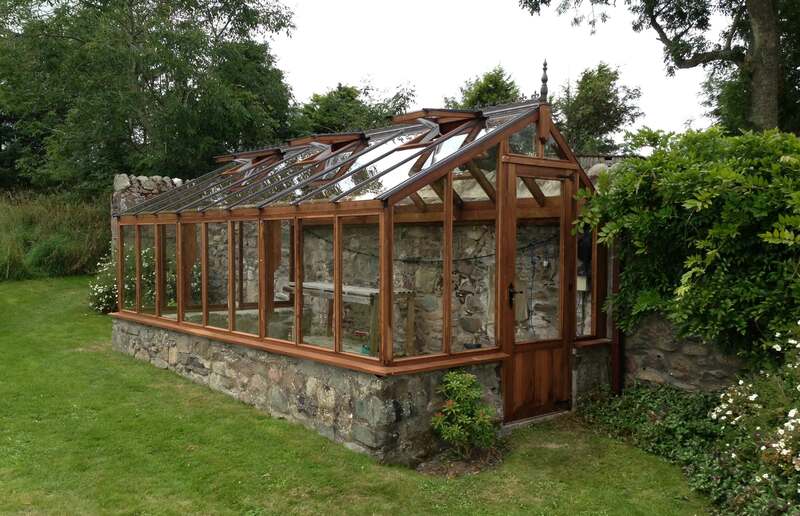 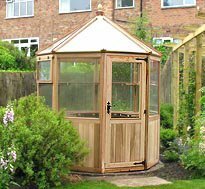 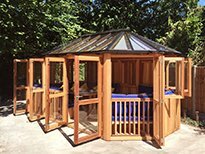 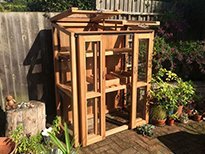 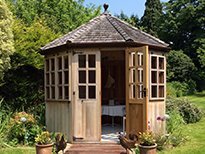 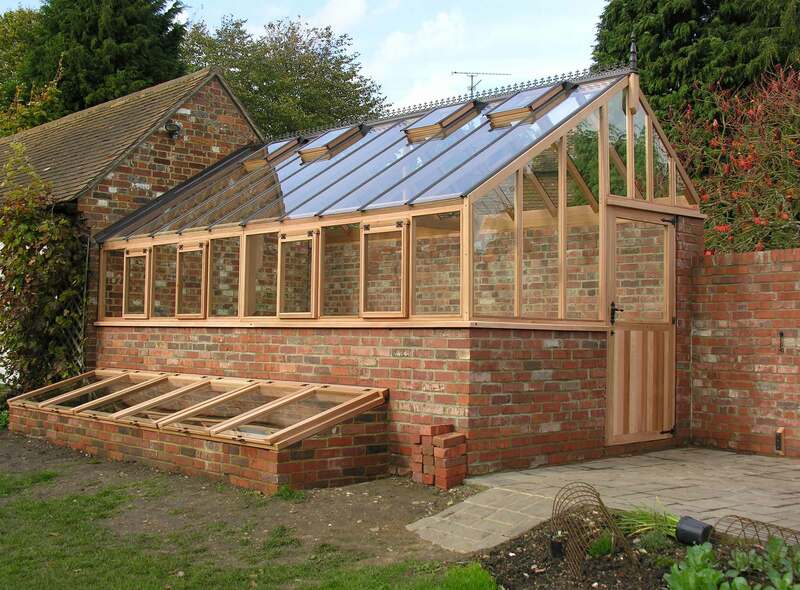 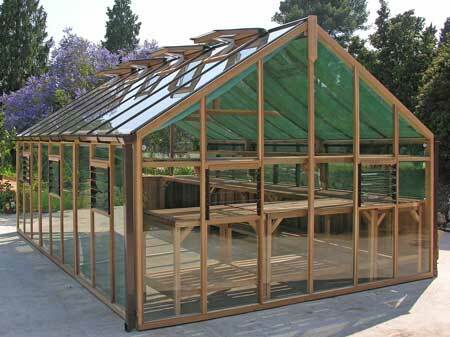 The unique appearance of these greenhouses will create a stunning feature-point in any garden, complimenting Victorian designs and more contemporary landscapes equally well. 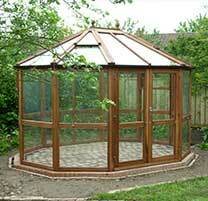 Written quotations available on request! 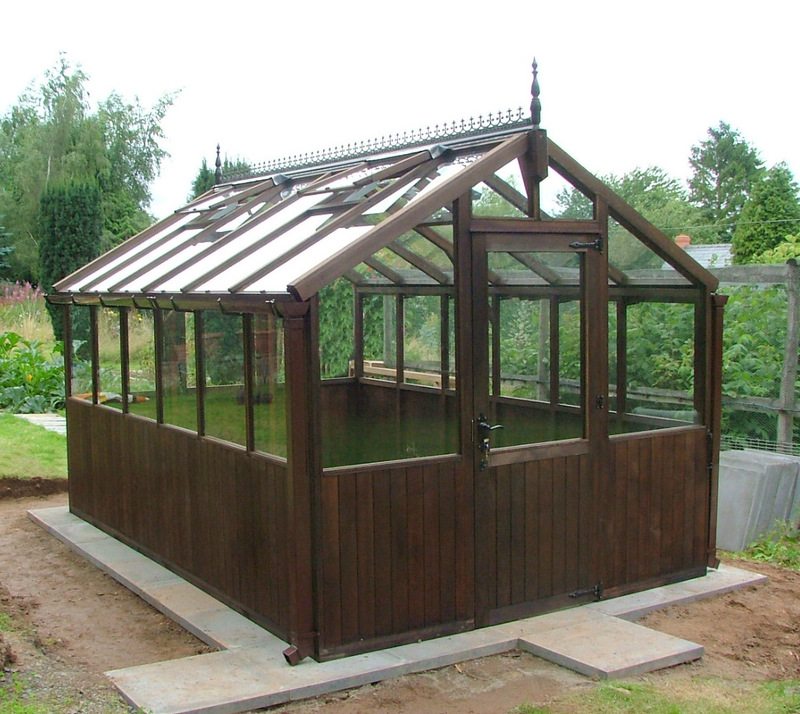 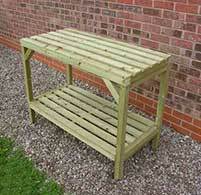 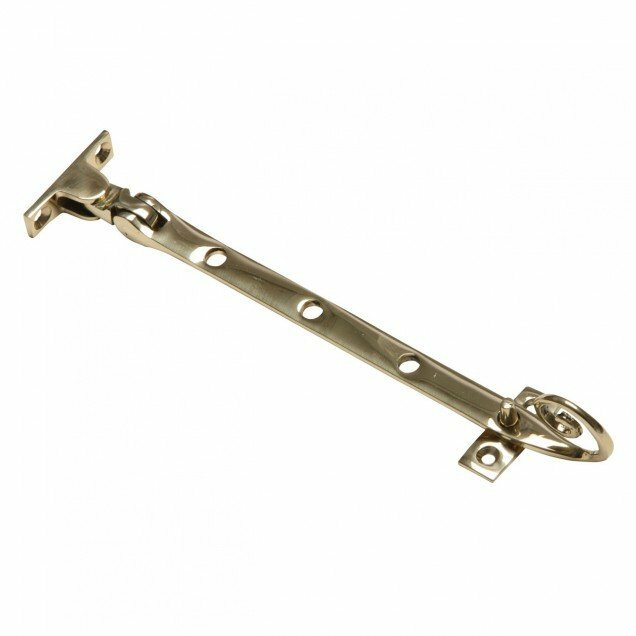 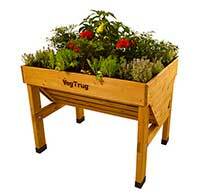 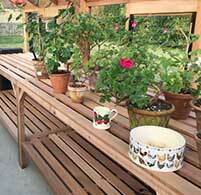 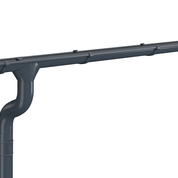 Three Quater spans built upon walls with custom sizes, or exceeding the sizes above are priced upon quotation. 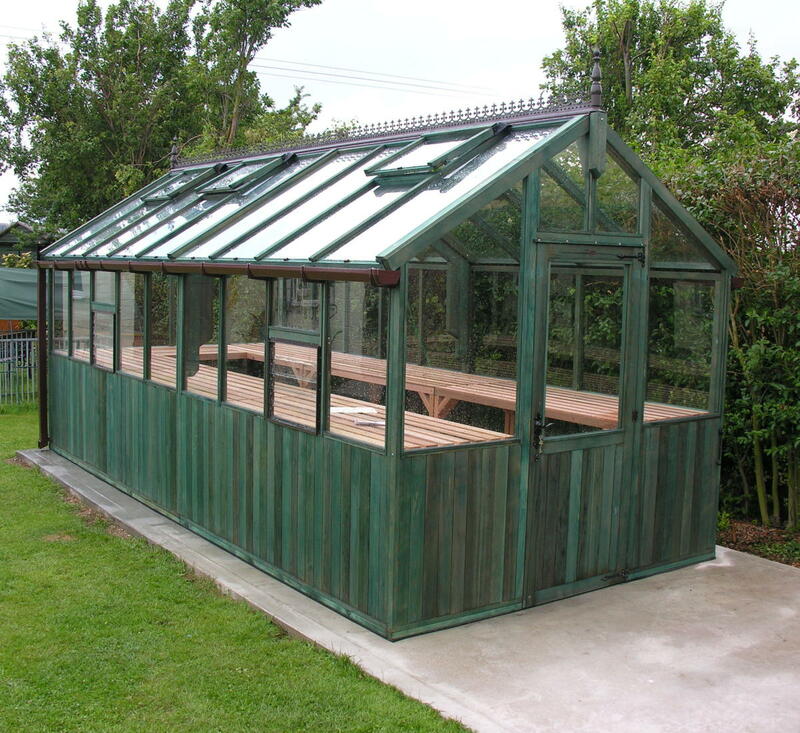 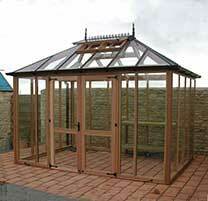 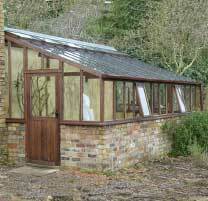 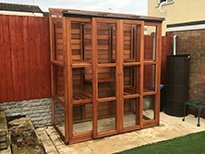 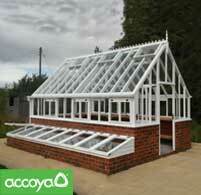 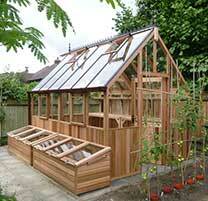 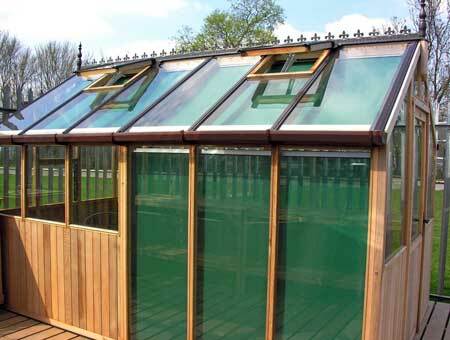 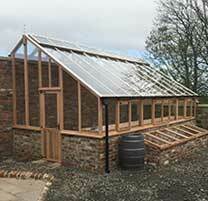 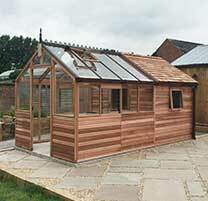 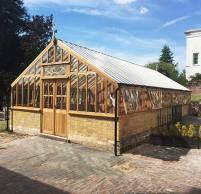 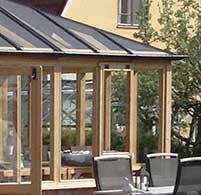 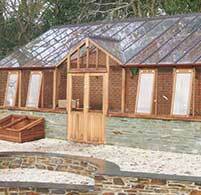 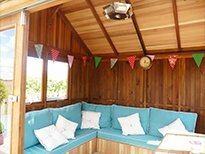 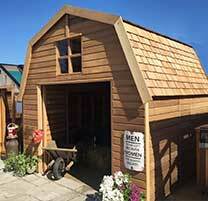 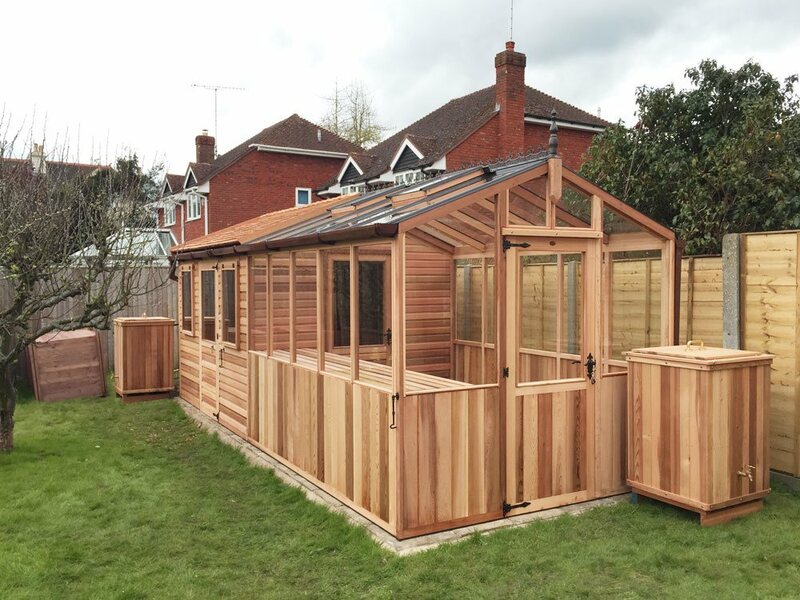 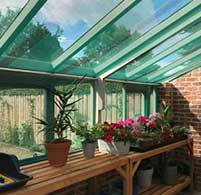 12ft x 60ft Three Quarter Span Bespoke Greenhouse fitted with maintenance free roof.